by Dr. Deny Sentosa, Ph.D | To ingest or not? 01 Jul To ingest or not? Let’s get this straight. In Singapore (and other countries EXCEPT USA), Young Living is categorized as cosmetics products. Have you ever ingested your cosmetics? No? I’ll get back to this later. WHY cosmetics? Because Young Living wants YOU to get the products faster! Or do you prefer to wait almost a year to get 1-2 products approved by HSA and AVA (they govern how the food content, etc etc, in Singapore)? HOWEVER, even though YLEO in Singapore (and other countries except USA) is categorized as cosmetics, no significant harm has been reported by ingesting. Safe bet is to get Essential oils pocket/desk reference and there’s YLEO list of GRAS (eo categorized as food). Lemon is one of them! The book is great investment. I have to emphasize again and again, if you’re into Young Living, please get the book. It’s wonderful resource. If you read that book, each oil will be described in details on how to use the oil. If the methods of usage include “dietary” or “ingestion” then I believe that should clarify my point. BUT WHY THE LABEL says otherwise? Again, we’re back to cosmetics category. Do you ever see your cosmetics stuff has “dietary” label? 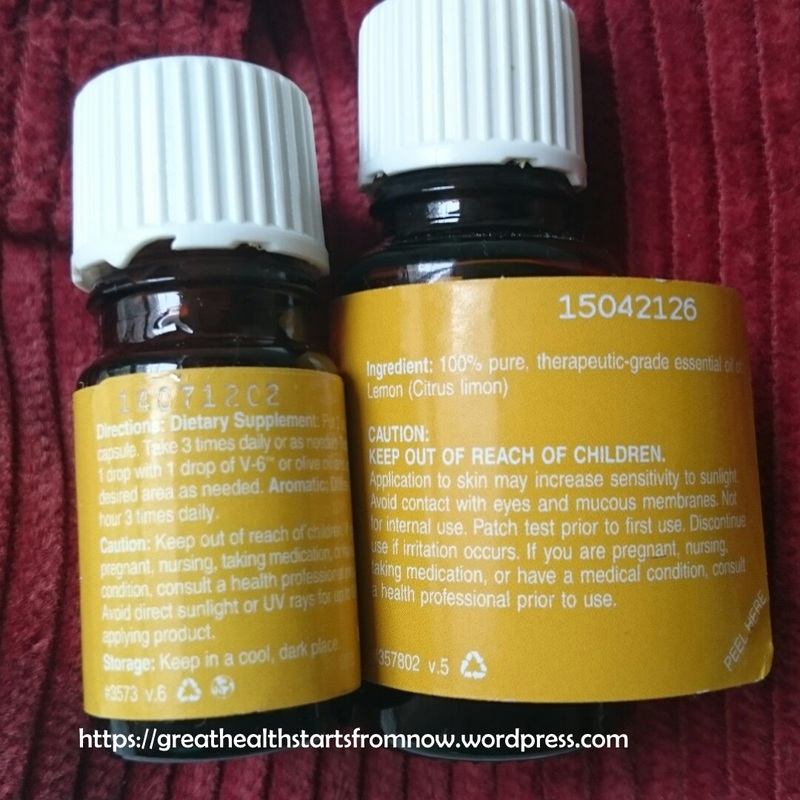 However, if you take a look at your 5 ml bottle of Lemon (or lavender or peppermint or other oils that are not sold separately as individuals), there’s dietary info. That because that bottle of oil originates from USA, i.e. supposed to be for USA market. If you are into buying products from USA, and you get the free gifts, I am sure the labels will say “dietary” info.